With minimal ingredients and simple directions, this is a perfect first-time recipe for anyone who’s just beginning to bake pet treats. I don’t have any cats. In fact, I’ve never had a cat. Between issues with allergies and living in homes dominated by dogs, I’ve never had the chance to do more than foster a kitten here or there. That’s not to say I don’t take every opportunity to visit my friends who do have cats. And since those friends and their feline family members are so kind enough to let me visit and get my cat fix, I figured I could repay them with some homemade cat treats. 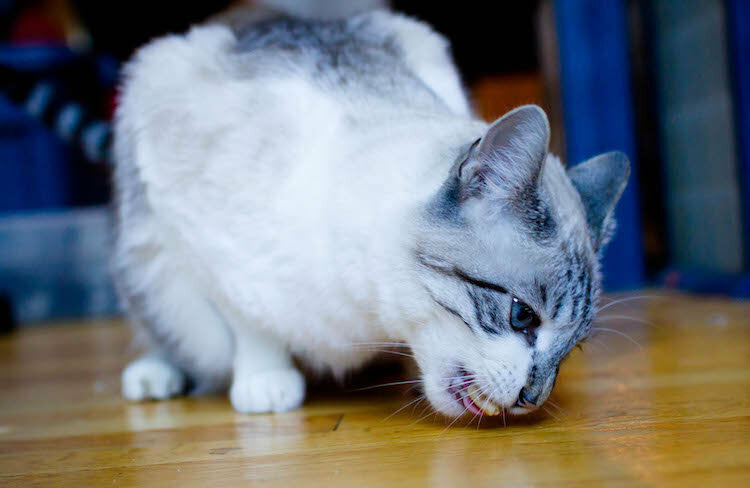 This is the first cat treat recipe I’ve ever tried and, frankly, it was a piece of cake. 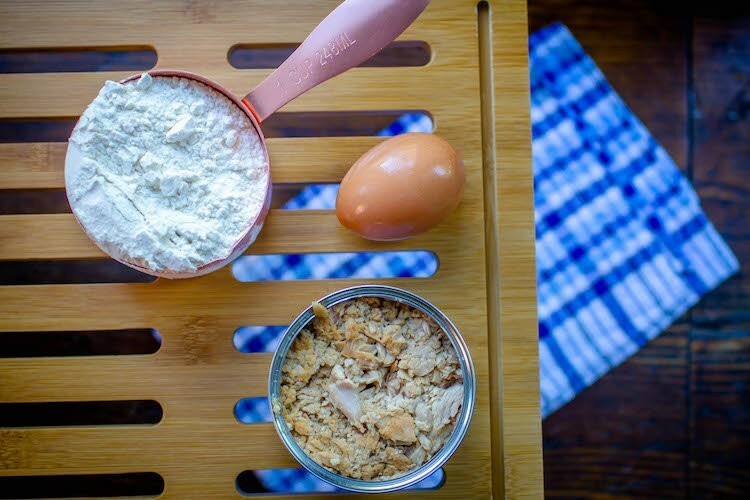 With minimal ingredients and simple directions, this is a perfect first-time recipe for anyone who’s just beginning to bake pet treats. *When I reached this step in the recipe, I discovered that I was out of parsley, so my treats were lacking in that department. You can use parsley or catnip, or you can omit this ingredient as well. Whoops. I was out of parsley. Add more water or flour as needed to get a cohesive dough. Roll the dough out on a lightly floured surface to ½-inch thick. Using a very small cookie cutter, bottle cap or butter knife, cut the dough into shapes and place them on a nonstick cookie sheet. 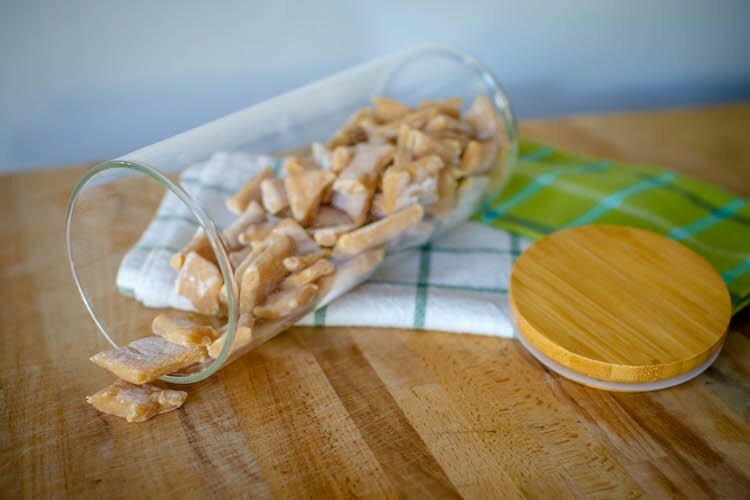 Keep leftover treats in a sealed container for up to 1 week. Although I tried to cut the treats into small rectangles, they were still a tad too big for the cats, so I easily broke them in half to tempt Lua and Gatsby. Both cats were mildly curious at first, but Gatsby decided these snacks weren’t for him. Lua, on the other hand, was furious that she wasn’t allowed to have more than one. And she wasn’t the only one who enjoyed these bite-size treats. My dog, Banjo, had a taste as well and promptly sat down to politely ask for more. 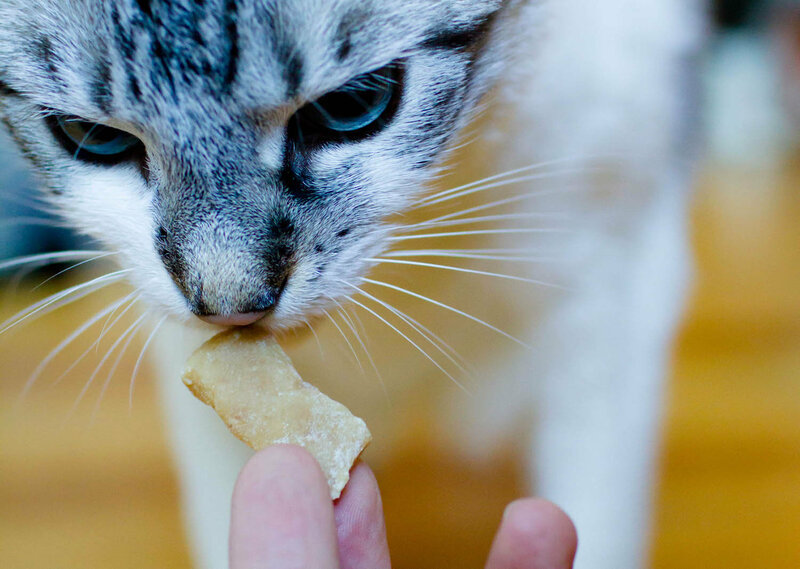 For a slightly different take on cat treats, see Dave’s Simple Homemade Tuna Catnip Cookies.